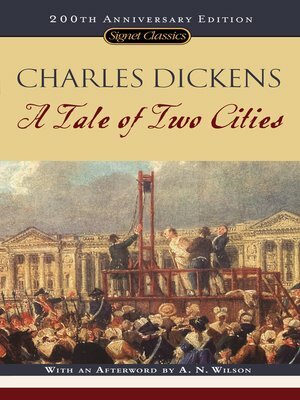 The storming of the Bastille...the death carts with their doomed human cargo...the swift drop of the guillotine blade—this is the French Revolution that Charles Dickens vividly captures in his famous work A Tale of Two Cities. With dramatic eloquence, he brings to life a time of terror and treason, a starving people rising in frenzy and hate to overthrow a corrupt and decadent regime. With insight and compassion, Dickens casts his novel of unforgettable scenes with some memorable characters: the sinister Madame Defarge, knitting her patterns of death; the gentle Lucie Manette, unswerving in her devotion to her broken father; Charles Darnay, the lover with a secret past; and dissolute Sydney Carton, whose unlikely heroism gives his life meaning.